The aim of this gathering is dual. To act as a forum where innovative ideas, breakthrough concepts and disruptive technologies are presented, while in parallel be the place for disseminating the knowledge and results achieved in the frame of research projects of the aviation and space field. 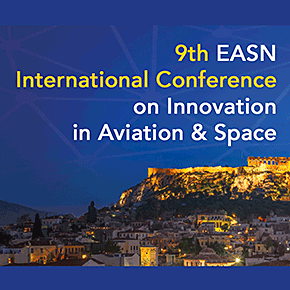 Like its predecessors, the 9th EASN International Conference will include a number of Plenary Talks by distinguished personalities of the European Aviation and Space sectors from the academia, industry, research community and policy makers. It will also include Thematic Sessions, along with Technical Workshops where evolving ideas, technologies, products, services and processes will be discussed. The identification of possible synergies and interactions with other sectors (e.g. automotive) will be a key aspect of the event.